Over the last few months, I have been slowly redecorating my house. I wanted to create something that was going to match with my new living room furniture and that was not going to cost me much. 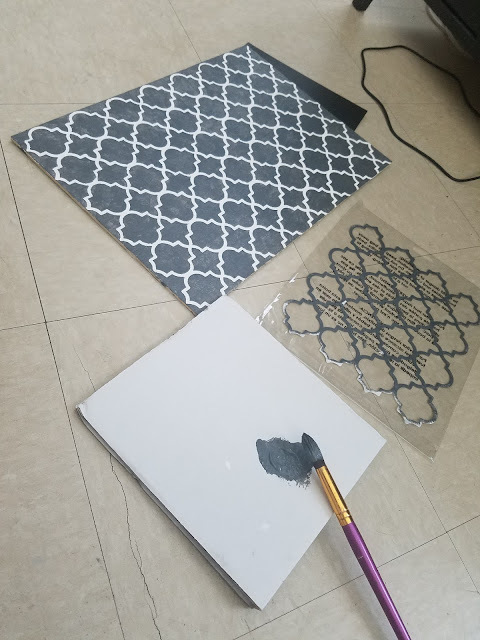 I headed over to AC Moore and bought a stencil and used an old piece of wood that I had laying around the house. This cost me about $3.99 + tax. I was very happy with the final result. 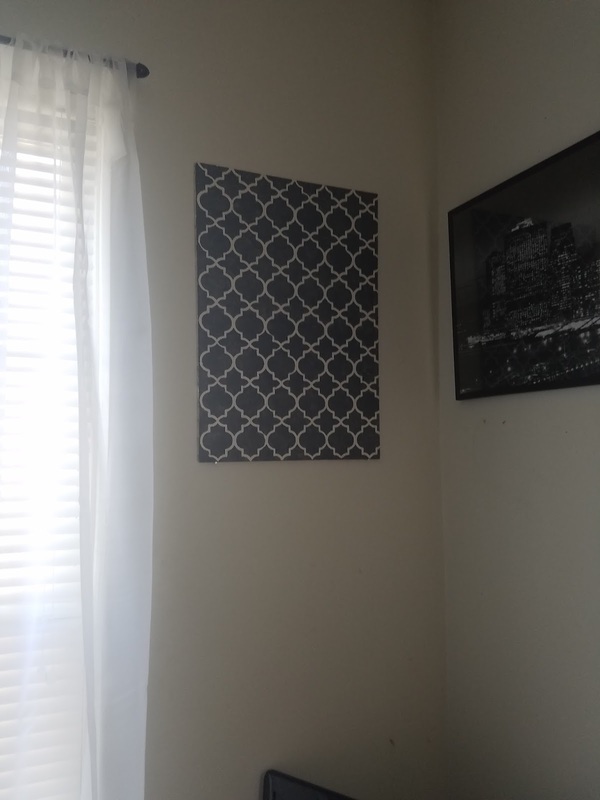 I was happy to hang up my cheap DIY wall art project. 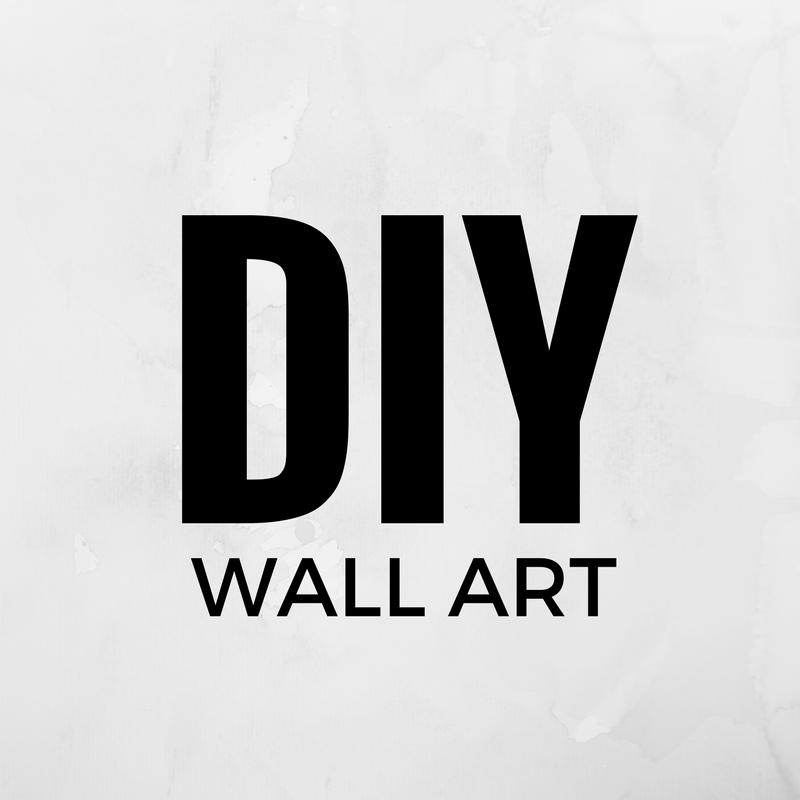 Have you guys created any cool DIY wall art? If so, I want to hear all about it!